Craaaccckkk! In an exercise class on January 7, while doing a move I have done hundreds of times, I tripped over my own feet and went down, fracturing my wrist in the process. Dang!! 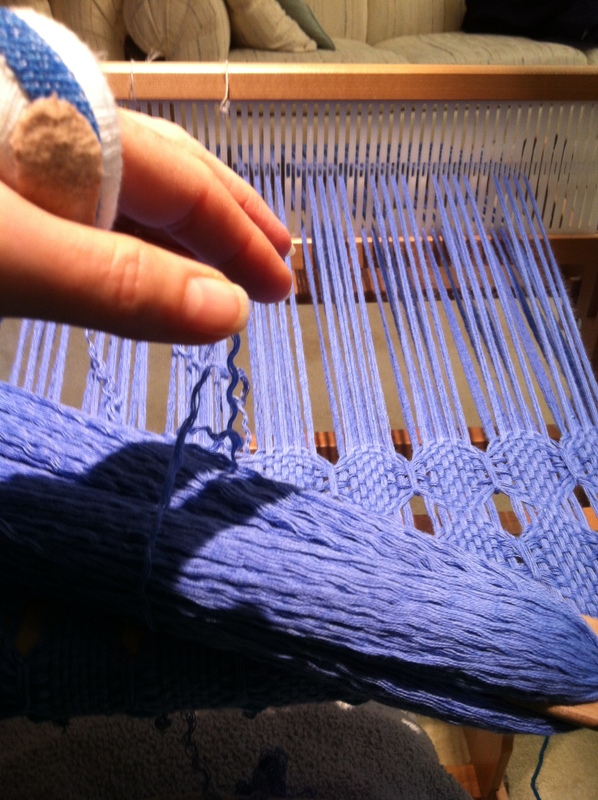 It’s not a complex break, but being in a cast certainly hampers my weaving progress. 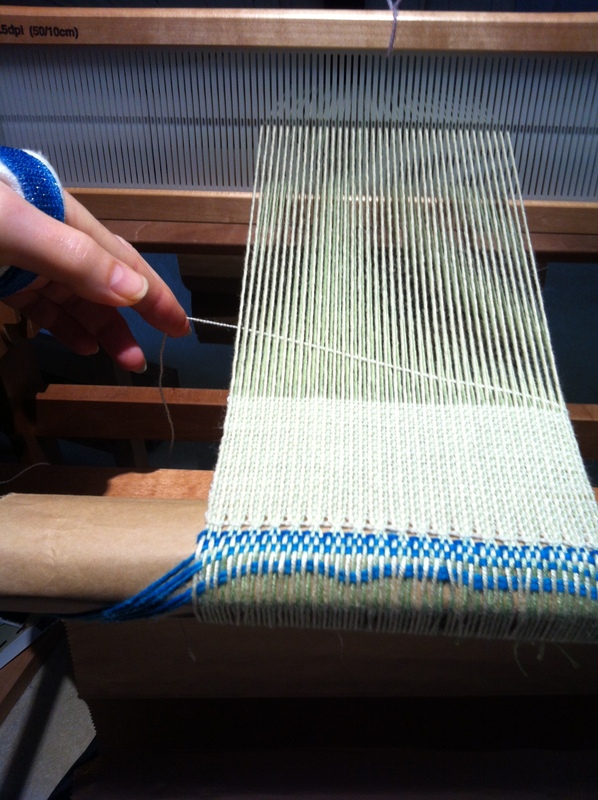 So I watched lots of weaving videos – Double-weave, Rugs, etc. 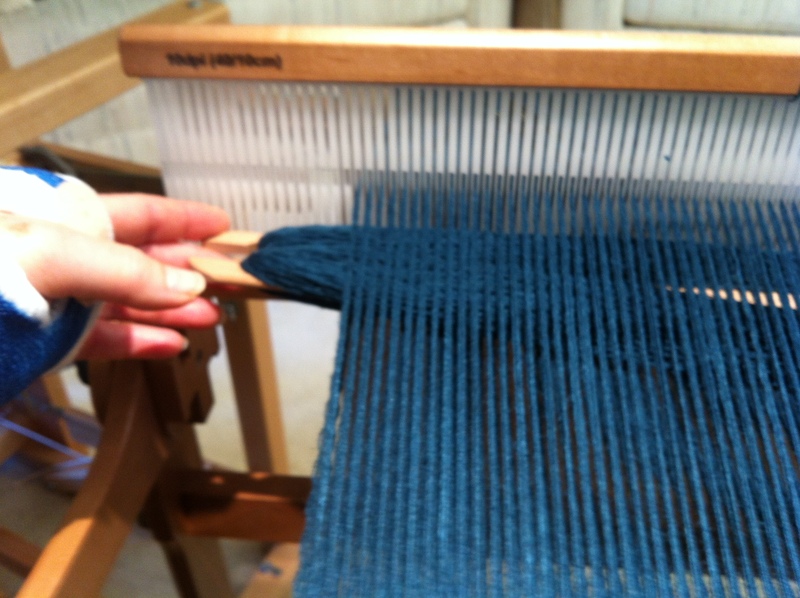 The most startling one was Laura Fry’s on wet finishing wool. She washes the piece and then throws it repeatedly against a hard surface for 8-10 minutes. I had to try it, so I took a recent scarf that I thought I had wet finished, starting the process over, and by golly if those little fibers didn’t mesh together and make the scarf all soft! I feel like I’ve turned a corner in my cloth-making skill! 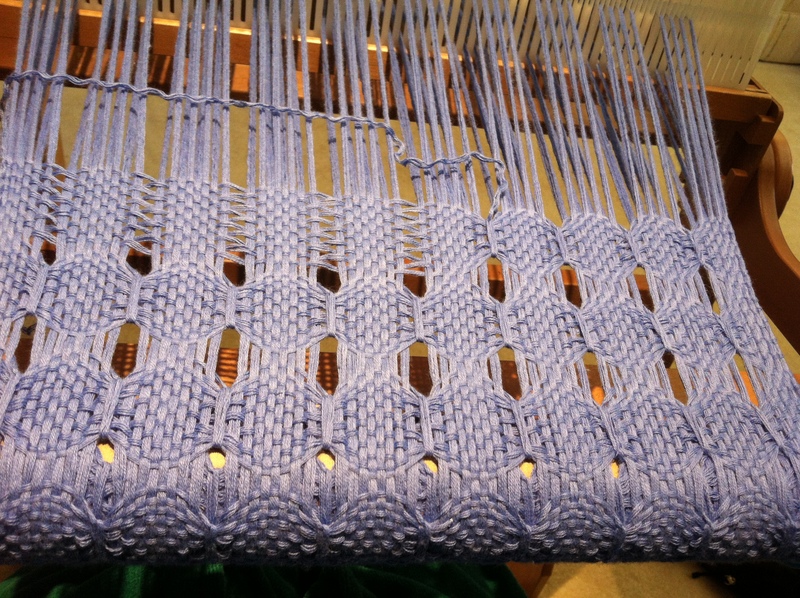 And also I could warp one-handed, so I had 3 pieces warped within a few days of this little incident, ready for the rigid heddle loom. 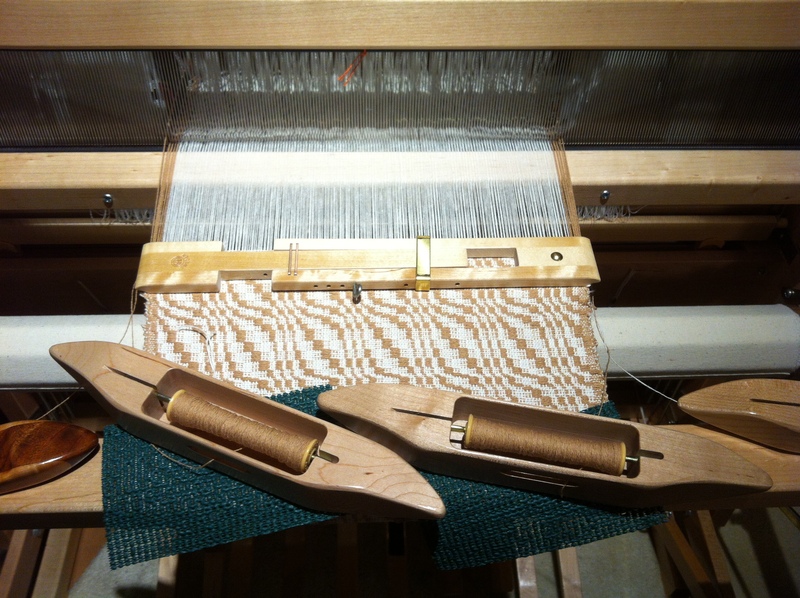 I got one on the loom but had to wait several days before I had enough strength in my fingers to tie (still pretty loosely) onto the front apron rod. 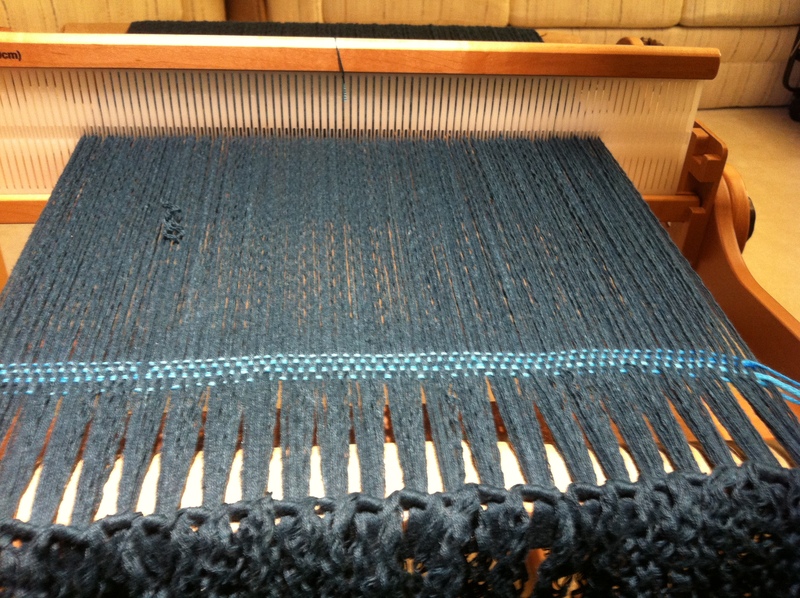 Here is the plain weave scarf barely started. 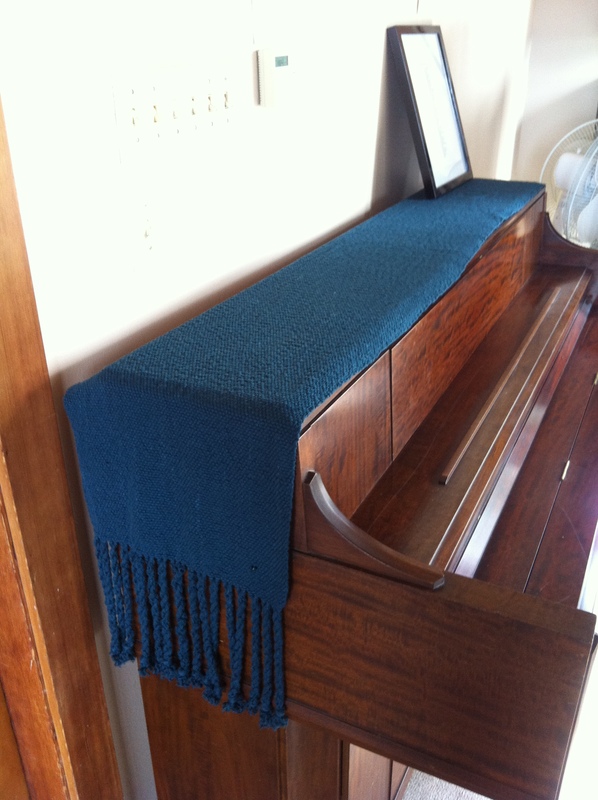 It took me 2 weeks to finish it, and another week before I could twist the fringe. It’s not wet finished yet, but will go in the gallery when done (S0151). On to the next! Still working with repurposed cotton yarn, but this time in 6-ply periwinkle, I was ready for something more engaging than plain weave. Usually, I’m not one for hand-manipulated weaves or embellishment, but I still had three weeks of being in a cast to go, so there was no rush. I got out my Jane Patrick book and checked out Danish Medallions. Since one shuttle is all I can manage, I used all the same weft yarn rather than an accent yarn as outline, but it’s still interesting and pretty quick to do. I’m now halfway done with this scarf with 2 weeks to go before the cast is off. Then physical therapy – all this fuss for something that took one second to happen. 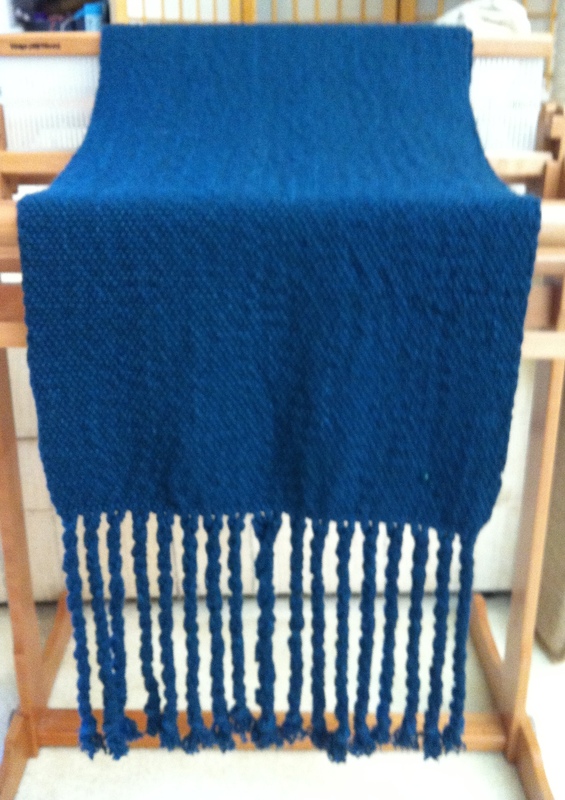 This scarf (S0152) will go in the gallery when done. I’m sure all this hand activity has been good for building the strength back up in my fingers, and it has certainly been good for my morale. Onward!